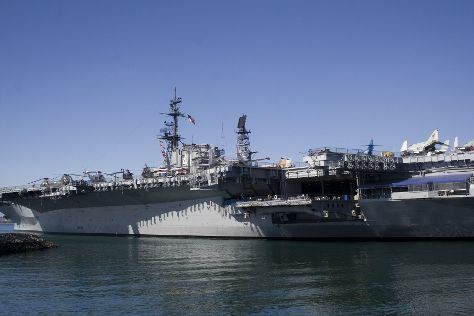 You'll explore and learn at USS Midway Museum and Mingei International Museum. Maritime Museum of San Diego and San Diego Air & Space Museum are good opportunities to explore the local culture. There's much more to do: kick back and relax at La Jolla Cove, admire the masterpieces at Museum of Photographic Arts (MoPA), examine the collection at Old Town Model Railroad Depot, and admire nature's wide array of creatures at San Diego Zoo. For other places to visit, ratings, photos, and more tourist information, read San Diego online driving holiday planner . Kristiansand, Norway to San Diego is an approximately 19.5-hour flight. Due to the time zone difference, you'll gain 9 hours traveling from Kristiansand to San Diego. Expect a bit warmer temperatures when traveling from Kristiansand in September; daily highs in San Diego reach 30°C and lows reach 23°C. Wrap up your sightseeing on the 20th (Fri) to allow time to drive to Los Angeles. Get some historical perspective at La Brea Tar Pits and Museum and Avila Adobe. 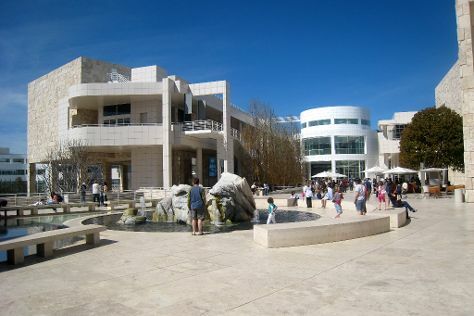 The Getty Center and Griffith Observatory will appeal to museum buffs. Next up on the itinerary: explore the world behind art at Los Angeles County Museum of Art, take a stroll through El Pueblo de Los Angeles, have fun and explore at Travel Town, and see the interesting displays at Madame Tussauds Hollywood. To find ratings, traveler tips, photos, and other tourist information, go to the Los Angeles trip itinerary planning website . Traveling by car from San Diego to Los Angeles takes 2.5 hours. Alternatively, you can take a bus; or fly. Traveling from San Diego in September, you will find days in Los Angeles are a bit warmer (34°C), and nights are about the same (22°C). 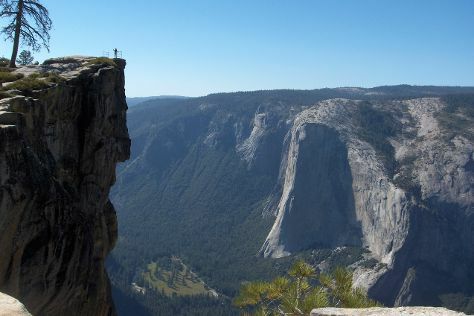 Finish up your sightseeing early on the 24th (Tue) so you can travel to Yosemite National Park. Yosemite National Park is known for nature, trails, scenic drive, wildlife, and museums. Your plan includes some of its best attractions: explore the striking landscape at Taft Point, make a trip to Tuolumne Grove of Giant Sequoias, get advice or help at Yosemite Conservation Heritage Center, and hike along Tuolumne Meadows. To find more things to do, other places to visit, ratings, and more tourist information, refer to the Yosemite National Park trip planner. Getting from Los Angeles to Yosemite National Park by combination of flight and car takes about 4.5 hours. Other options: drive; or do a combination of flight and bus. When traveling from Los Angeles in September, plan for little chillier days in Yosemite National Park, with highs around 27°C, while nights are cooler with lows around 3°C. Wrap up your sightseeing on the 27th (Fri) early enough to travel to St. Helena. Museum-lovers will get to explore The Hess Collection Winery & Art Museum and Mumm Napa. Your cultural itinerary includes sights like Gracianna Winery and Pride Mountain Vineyards. Change things up with a short trip to Jordan Vineyard & Winery in Healdsburg (about 46 minutes away). Dedicate the 28th (Sat) to wine at some of the top wineries in the area. There's still lots to do: learn about winemaking at Anderson's Conn Valley Vineyards. To see other places to visit, photos, reviews, and other tourist information, use the St. Helena route planning website . You can do a combination of car, flight, subway, and bus from Yosemite National Park to St. Helena in 7.5 hours. Another option is to do a combination of taxi and bus. Plan for a bit warmer temperatures traveling from Yosemite National Park in September, with highs in St. Helena at 34°C and lows at 12°C. Cap off your sightseeing on the 1st (Tue) early enough to go by car to San Francisco. Get some cultural insight at Fisherman's Wharf and Exploratorium. Museum-lovers will get to explore SS Jeremiah O'Brien and de Young Museum. There's much more to do: explore and take pictures at Alcatraz Island, take a stroll through Union Square, admire the masterpieces at Asian Art Museum, and examine the collection at Musee Mecanique. To see photos, maps, and other tourist information, you can read our San Francisco travel itinerary planner. Drive from St. Helena to San Francisco in 1.5 hours. Alternatively, you can do a combination of bus and subway; or take a bus. Expect slightly colder weather when traveling from St. Helena in October: highs in San Francisco hover around 26°C, while lows dip to 15°C. Finish your sightseeing early on the 5th (Sat) so you can travel to Boston. Popular historic sites such as Orchard House and Buckman Tavern are in your itinerary. Museum-lovers will get to explore Museum of Fine Arts and Concord Museum. Explore the numerous day-trip ideas around Boston: Salem (The House of the Seven Gables & Peabody Essex Museum). There's still lots to do: examine the collection at John F. Kennedy Presidential Museum & Library, take an in-depth tour of USS Constitution Museum, explore the world behind art at Isabella Stewart Gardner Museum, and don't miss a visit to Louisburg Square. Traveling by flight from San Francisco to Boston takes 7.5 hours. Alternatively, you can do a combination of train and flight; or drive. Due to the time zone difference, you'll lose 3 hours traveling from San Francisco to Boston. Expect little chillier temperatures when traveling from San Francisco in October; daily highs in Boston reach 20°C and lows reach 11°C. Finish your sightseeing early on the 8th (Tue) so you can take a bus to Sandwich. Sandwich is a town in Barnstable County, Massachusetts, United States. Kick off your visit on the 9th (Wed): examine the collection at Heritage Museums & Gardens, explore the world behind art at Sandwich Glass Museum, then examine the collection at John F Kennedy Hyannis Museum, and finally make a trip to Old King's Hwy. To see where to stay and tourist information, read Sandwich online trip itinerary builder . Getting from Boston to Sandwich by bus takes about an hour. Other options: drive. In October, plan for daily highs up to 20°C, and evening lows to 9°C. Finish your sightseeing early on the 9th (Wed) to allow enough time to travel to Nantucket. Nantucket is an island about 30mi by ferry south from Cape Cod, in the American state of Massachusetts. On the 10th (Thu), see the interesting displays at Whaling Museum, get engrossed in the history at Egan Maritime's Nantucket Shipwreck & Lifesaving Museum, and then visit a coastal fixture at Great Point Light. Keep things going the next day: kick back and relax at Jetties Beach, then contemplate the long history of Oldest House (Jethro Coffin House), then see the interesting displays at Nantucket Lightship Basket Museum, and finally take in the architecture and atmosphere at Unitarian Universalist Meeting House Nantucket. To find reviews, where to stay, and more tourist information, read our Nantucket route maker tool . You can do a combination of taxi and ferry from Sandwich to Nantucket in 1.5 hours. Another option is to do a combination of bus and ferry. In October in Nantucket, expect temperatures between 20°C during the day and 12°C at night. Finish your sightseeing early on the 11th (Fri) to allow enough time to travel to Provincetown. Start off your visit on the 12th (Sat): ponder the world of politics at Provincetown Town Hall, contemplate the long history of Edward Gorey House, then get engrossed in the history at Salt Pond Visitor Center, and finally get engrossed in the history at Chatham Marconi Maritime Center. Get ready for a full day of sightseeing on the 13th (Sun): appreciate the history behind Pilgrim Monument & Provincetown Museum and then enjoy the sand and surf at Cape Cod National Seashore. To see where to stay, reviews, other places to visit, and other tourist information, refer to the Provincetown trip planner . Traveling by combination of ferry and taxi from Nantucket to Provincetown takes 2.5 hours. Alternatively, you can do a combination of ferry and bus; or fly. In October, plan for daily highs up to 20°C, and evening lows to 11°C. Wrap up your sightseeing on the 13th (Sun) to allow time to travel back home.